Australian tennis star Nick Kyrgios has been suspended for the rest of the year by the ATP unless he agrees to see a sports psychologist. 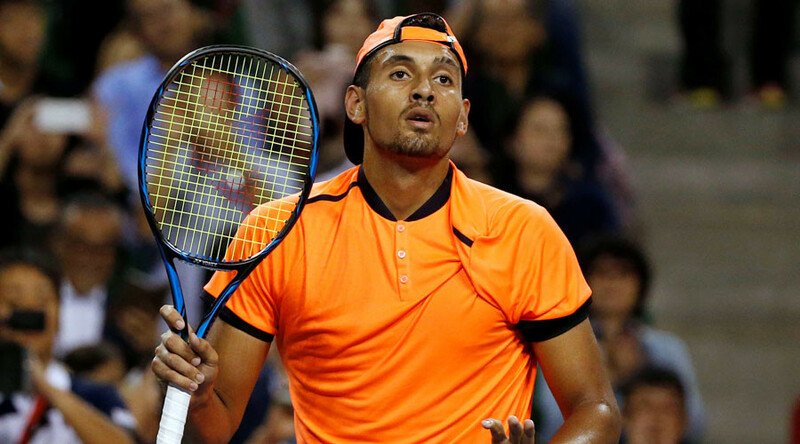 Kyrgios has been handed an eight week tournament ban, effective from October 17 until January 15, for “conduct contrary to the integrity of the game” during last week’s Shanghai Masters. The 21-year-old threw one game in his 6-3, 6-1 defeat to Mischa Zverev and also got into heated arguments with the umpire and a spectator. He was initially fined US$16,000, but this has now been increased by an extra $25,000. “Kyrgios has been found to have committed the player major offense,” read an ATP statement. “The offense means that Kyrgios receives an additional fine of $25,000, and is suspended from ATP tournaments for eight tournament weeks, effective from today through to Sunday, January 15, 2017. Kyrgios has a history of erratic behavior on the tennis court, including at the 2015 Wimbledon Championships where he was accused of ‘tanking’ during the second set of his fourth-round loss to Richard Gasquet. He was booed by the crowd after failing to return a series of Gasquet serves, but he denied he had done so deliberately. Kyrgios was also fined $10,000 by the ATP in August 2015 for comments made to Stan Wawrinka during their Rogers Cup match. Kyrgios has now apologized for his latest indiscretion and promised to improve his behavior in future. “Following the ATP's decision I would like to take this opportunity to apologize again for the circumstances in Shanghai,” Kyrgios said. “The season has been a long one as I battled several injuries and other challenges towards the end of the summer. “The Asian circuit was particularly tough after the long week and win in Tokyo, and with the travel throughout the continent, my body finally just gave out in Shanghai both physically and mentally.